This review was made possible by Double Duty Divas and Dreft. I was provided the featured product free of charge to facilitate my review and compensation, but all opinions are 100% mine. 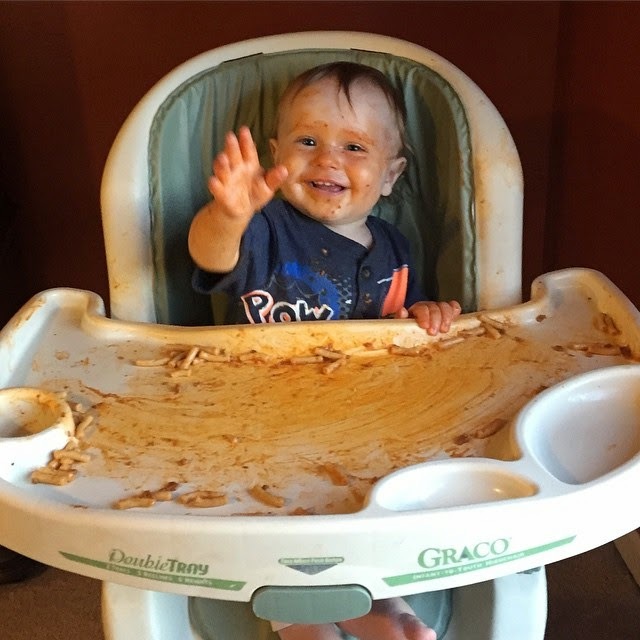 When you first become a parent, you have this idea in your head that things are always going to be sweet and precious, but in reality although you adore your precious bundle of joy, there are times when it is just plain messy. I remember folding all of those little clothes when we were preparing for the birth of my daughter. And all those babies socks that the dryer ALWAYS eats. With little girls, everyone wants to buy you clothes and so when I had our son, I had plenty of hand-me-downs for all of my nieces. But now we have a son. There just aren't that many boy clothes out there. The sections are smaller than girls at the store and good luck finding any good ones in consignment shops. And it's because boys are messy from the start. You want their clothes to smell baby soft, just like you daughter's did, but you also want them to be wearable without baby food stains. Dreft welcomes families to the big, messy, beautiful journey of #Amazinghood with its new line of laundry care products. Babies go through a lot of changes within their first few years, leading to different needs for different life stages - especially when it comes to their laundry. Also, make sure to download Dreft's "Amazing Baby Days" app now available for FREE on the App store. This one- of-a kind app helps parents - and parents to be - capture the amazing moments of pregnancy through their baby's first year and has recently been updated so that moms and dads can make keepsake movies from photos and videos captured within the app! Also follow Dreft on Facebook for more updates! One Nanny to Mommy reader will win everything below! Open to US only, ALL winning entries are verified. Good luck! Disclosure: This contest will run through May 17, 2015 at 8:59 pm PST (11:59 pm EST). Winners are chosen via Random.org, ALL winning entries ARE verified. The winner will be notified by email they signed up with and will have 48 hours to reply or another winner will be chosen. No purchase necessary. Open US only. Must be 18 years or older to win. This giveaway is sponsored by Dreft through Double Duty Divas. I received complimentary products to share this review and giveaway. This promotion is in no way sponsored, endorsed or administered by, or associated with, Facebook. You understand that you are providing your information to Nanny to Mommy and not to Facebook. Please note that Nanny to Mommy is not responsible for sponsors that do not fulfill their prizes. We have represented each sponsor with the expectation they will fulfill their prize and in a timely manner. We will contact the sponsor regarding your prize. The sponsors, in most cases, are shipping their items to you directly. I will make every effort to assist you in obtaining your prize. If there is an issue with a sponsor, please notify Nanny to Mommy at Diana.n.chastain@gmail.com within 4-6 weeks for assistance, after that we may be unable to assist you. This is amazing. I have a 3 week old neice and a 9 month old myself :) we love our ingenuity seat!! I will be having a newborn very soon! We need Active Baby! My daughter is staining all her clothes with her food! Will have a newborn soon! Due in 13 days! We have a 3 year old and are expecting a baby in July, so we need all stages :). I will be needing the newborn. My friend at work is due in a couple of months and this would be an awesome gift for her. I would like Newborn for my sister. She is expecting her first child soon. I am in grandma stage! The Blissfuls sound like something I would really like to try. This would be for my first grand baby that is due in November and I am so excited I used Dreft with all four of my kids! I would need newborn for my 6 week old! 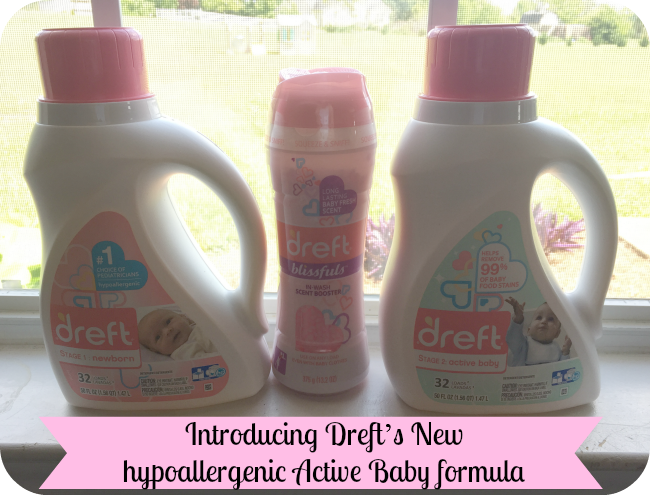 I would need for my newborn coming in less than 2 months , but I also use Dreft for my toddler's clothes who is 2 1/2 yrs old. I'd choose Active baby! My one year old is on a mission. 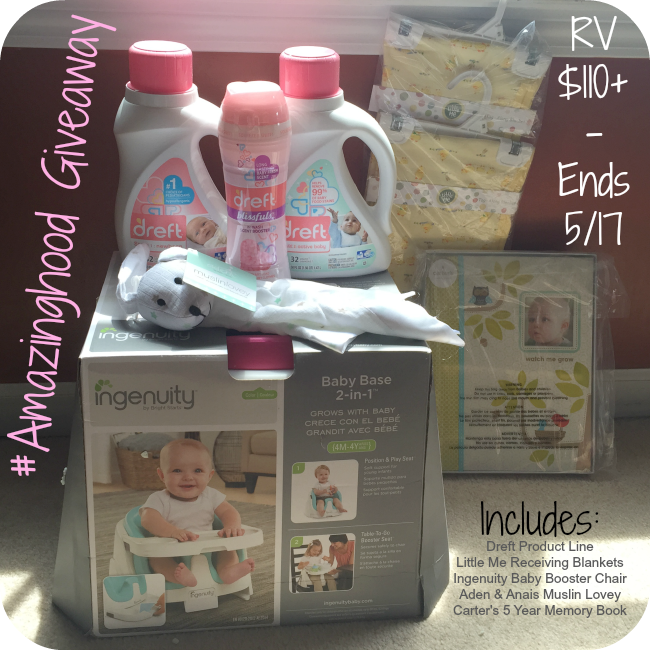 If I won this I would give to my sister and ask for the active baby size, what a great giveaway! This is a great promotion you have going for mothers. Keep up to good work. We would need the newborn. We are expecting in October. I'd share this with a friend, so I'd need newborn! I have a toddler but I am giving this to my niece. This would be a gift to my nephew for his newborn son. He appreciates any and all help he gets. My baby is a newborn but I think by the time this came she would be at the next stage. I would choose the Dreft Blissfuls. I would give this great prize pack to my niece for her daughter. I need this as I have an 8 wk old! I would love to try the Dreft Blissfuls! we're in stage 2.. active baby! or getting there! My babies are now children. :( But my niece is having a baby later this year and this prize pack would go to her. This would be for my daughter for her newest little one, so I think Newborn would be right. I have an Active 8 month old and a baby due in October!! My babies are 11 and 12! But my neighbor just had a baby girl and I'd love to share with her! My baby is 2 months old. We were excited about this giveaway, hope we win! These are great gifts.. I would want Newborn for a baby shower gift. My friend could use this. I would need active baby due to having a 9 month old that is very active and has lots of food spills on his clothes. Thanks for the chance to win this for my son. If I won, I would be giving this to my daughter, who will be have my 2nd grandson in August. If I won, this would be for baby #2 that we are expecting this Fall!